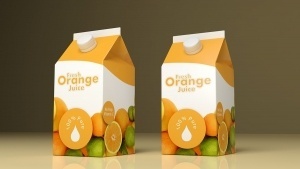 Packaged Orange Juices are marketed as “fresh orange juice” but in fact are highly processed. But there are some relatively unknown trade secrets that will question the validity of these marketing claims for orange juice. “Freshly squeezed” does not mean they are not highly processed. Let’s start with the obvious. Almost all juices, including orange juice, are pasteurized. That’s an FDA requirement to ensure we don’t get the bugs that cause gastrointestinal (GI) diseases such as E. coli and Salmonella. Pasteurization involves heating, and heating harms nutrients, especially enzymes. Enzymes are vital as metabolic catalysts. They help vitamins and minerals function as nature intended. Thus they are often more important than the vitamins and minerals themselves. When they don’t get properly metabolized they can wind up as toxic materials that oxidize tissue cells. In case you’re wondering if reconstituted from concentrate juices require pasteurization, actually they are hyper pasteurized. The process of extracting water to create juice concentrates involves high heat for longer durations than pasteurization of liquid food products. Then the concentrates are shipped to various outlets for adding water back to be bottled or packaged for sale. The FDA requires the very small percentages of juices that are not pasteurized, such as raw apple juice or cider, to carry warning labels. Juices with short shelf lives are financially risky. Regardless of how “natural” the carton or bottle ingredients read, there are chemical additives to keep them from spoiling during storage, shipping, and time in store refrigerators. When you see the phrase “added as a preservative” on labels of grocery items, you’ll know you might be consuming something with a chemical that helps their bottom line more than your health. The description of natural on ingredients, such as “natural flavors,” is often used to disguise items that are toxic, such as MSG (mono-sodium glutamate), which overstimulates brain cells and harms them. Fruits are seasonally grown and harvested. There’s no way fruit juices can sit around too long after harvesting and juicing the fruits. There are two chemicals used to help increase the shelf life or juices, including orange juices. Potassium sorbate and sodium benzoate (E211). The latter, E211, is used more in orange juices. Potassium sorbate is used to prevent mold, fungi and yeast growth. It has been linked to various side effects, including diarrhea and asthma. But the FDA considers it GRAS (generally regarded as safe). Aspartame, the artificial sweetener that holds the crown for most food additive adverse reports, is also considered GRAS. Sodium benzoate (E211) usually does not create obvious side effects. But when coming into contact with ascorbic acid (vitamin C), it morphs into benzene, a known carcinogen that has been linked to increased risks of blood cancers, such as leukemia and lymphoma. The process of supplying orange juice or other juices that are labeled “not from concentrate” involves sleight of hand maneuvers hidden from label exposure. Again, because of seasonal growth and juicing, these juices can’t last forever. So the juices that are freshly squeezed from oranges are stored in large tanks. Then the oxygen is sucked out of the tanks to prevent spoilage. Locally grown fruit juices can be freshly squeezed and offered with short shelf lives in local stores. They can truly be totally natural, especially if the fruits are organic. Observing generous “sell by” times is another way you can tell that the juice has been tampered with. What’s the Big Deal About Orange Juice Anyway? It’s known that fruits are high in fructose. It’s also know that fructose in high amounts is not metabolized well by liver to produce glucose for energy. So it winds up getting stored as fat, often in the liver itself. It’s also known that solid fruits are high in fiber, and the fiber content, along with other compounds, creates a buffer for fructose. Juicing creates a liquid that allows one to consume the contents of several fruits in a single eight or ten ounce glass that one wouldn’t be able to consume in a short amount of time, without fiber. It’s advisable to eat whole fruits and drink water purified by reverse osmosis and charcoal filtration. Some who do their own juicing reduce the fructose intake by adding purified water to create a 50/50 juice-water mix. You don’t need to invest in an elaborate machine to juice oranges and grapefruits. Even the mechanized citrus fruit juicers where you hold the orange or grapefruit with pressure while it spins the grinding part are cheap. Then there are the those juicing devices that require human torquing or twisting. They’re even cheaper. Oranges and grapefruits are well out of the EWG (Environmental Working Group)  “Dirty Dozen” range, or the 12 most heavily chemically sprayed produce items. Grapefruit is actually number 15 of the “Clean 15,” (the least sprayed) you don’t need to spend more for organic unless you want to.